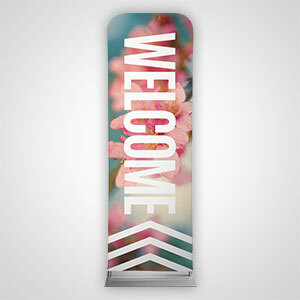 Slim and light-weight, this banner fits any space in your church. 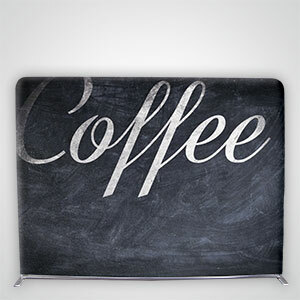 Perfect for lobbies and larger spaces. 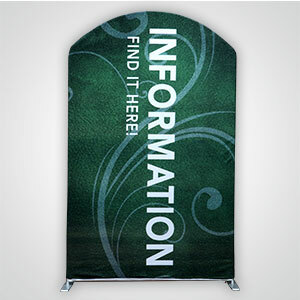 This 9'8" x 7'2" banner works on stage or as a photo booth. 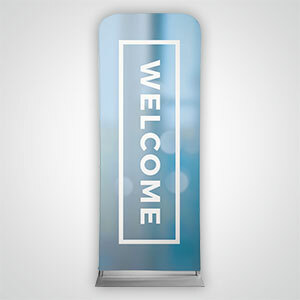 This tall, eye-catching banner is perfect for an instant information or sign up table! 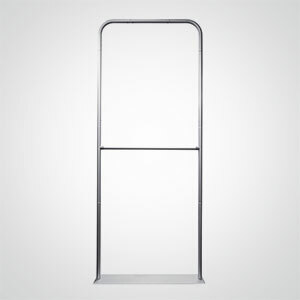 Display your sleeve banners on these easy-to-assemble stands that fit any space. 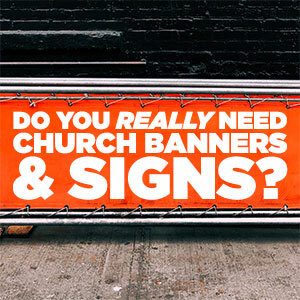 Read this article to see how Banners can help your church.